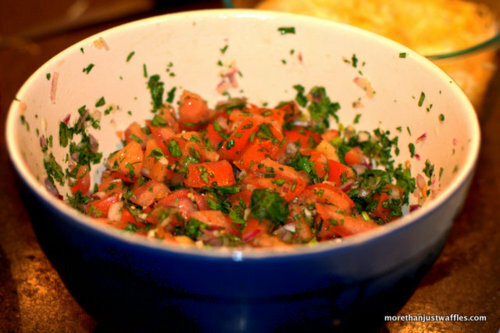 Pico de Gallo is a fresh salsa for cilantro-lovers. It goes great with tacos, quesadillas or just about anything. 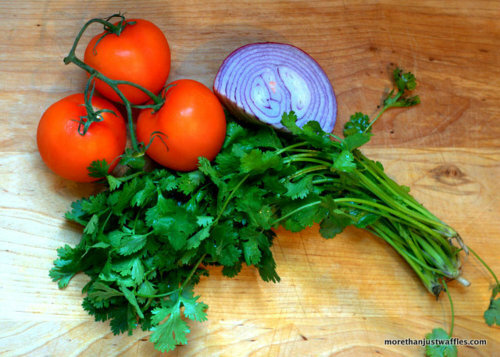 Just combine chopped tomatoes, diced cilantro and diced red onion. If you want to spice it up throw in some diced jalapeños. Add some lemon juice and salt and serve it. So easy and adds some culturality to your dinner.